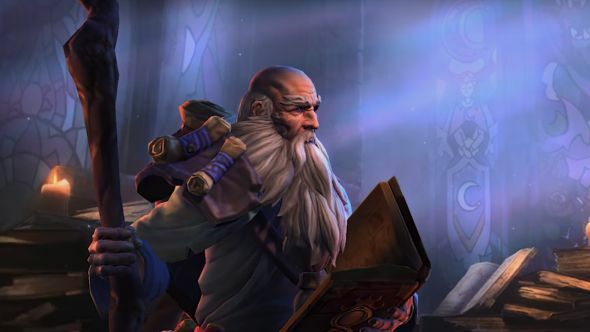 Blizzard were fully aware of Deckard Cain’s shipping potential ahead of his recent release into Heroes of the Storm. In an interview with the game’s creative content lead, Kevin Johnson, he told PCGamesN about the impact of Cain’s arrival on the characters of the Nexus. While you’re here, here’s what Deckard Cain does in Heroes of the Storm (when not being unbelievably attractive). A recent content drop for Heroes of the Storm focuses on three major characters – The Raven Lord, his maybe-servant Neeve, and the mysterious Orphea. While The Raven Lord and Orphea might be more important than the lowly Neeve, in the context of Cain, she becomes pretty interesting – given the popularity of shipping within Blizzard fandoms, two elderly humans seem a pretty likely pairing. So, naturally, we asked about it, and it seems that Deckard’s desirability might stretch further than you’d think. When we asked Johnson if Blizzard had considered the shipping potential of the two, he replied “of course. The Nexus is a completely new thing for Deckard and he’s a literal hero here. The denizens of the Realms are going to find that man attractive on a whole new level.” While he might have been quite the looker in his time, I’d argue that the years maybe haven’t been that kind to Deckard, especially if you compare him to some of the game’s heroes. The Raven Lord, Orphea, and Neeve all feature in a new Heroes of the Storm content drop, due to go live in North America tomorrow. As well as a new comic, intended as the starting point for a new form of storytelling for HotS, there are new mounts and new skins for Gul’dan and Alarak.